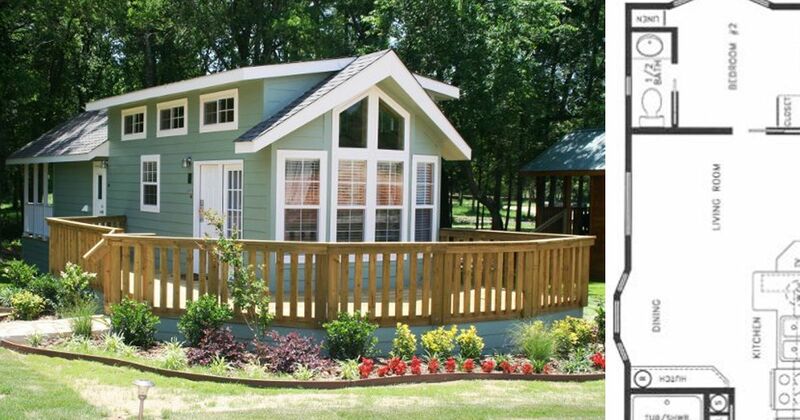 Searching for your dream tiny home but you're not sure what layout you want? There are many, many options, and as with all things small, it's important you carefully use every inch wisely. 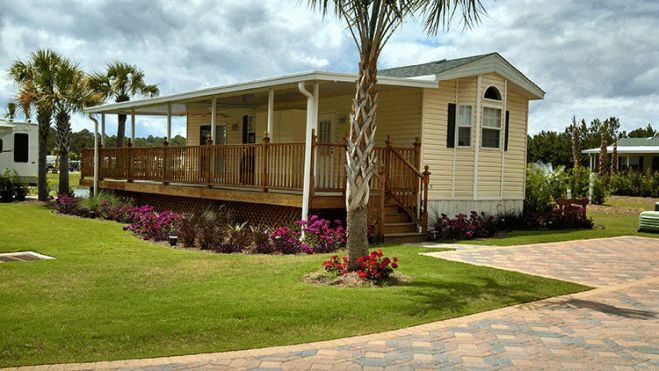 Below are three different park model home floor plans that really stood out to us for different reasons. 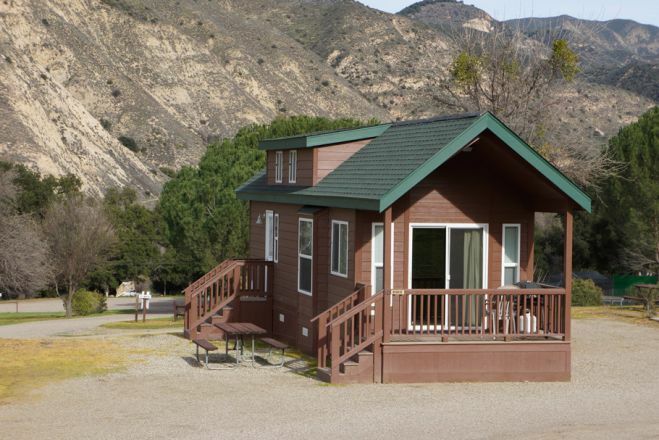 While park models homes are considered recreational vehicles, they are typically used for long-term living and thus typically contain more luxurious amentities. 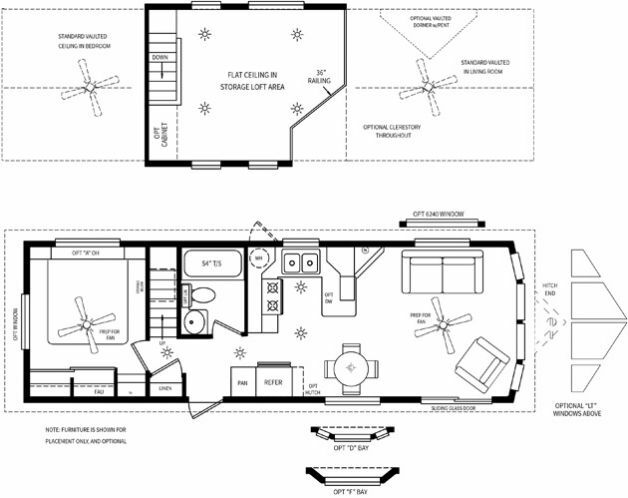 We focused on showcasing floor plans of this style since we wanted to show you the breadth of options out there. Which one of the below speaks most to you? This home design is all one-level and features 2 bedrooms instead of 1. There's space for a closet, tv, and ample storage. This is perfect for those who don't like the upstairs loft. The beauty about this model is that it's very customizable. 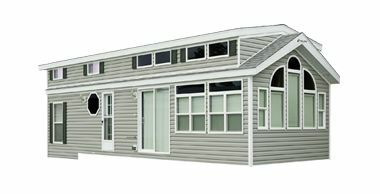 You can choose the style of window you want (bay, regular) as well as the placement of the storage loft. The main bedroom and other primary rooms still remain downstairs. Also, the porch options are great! 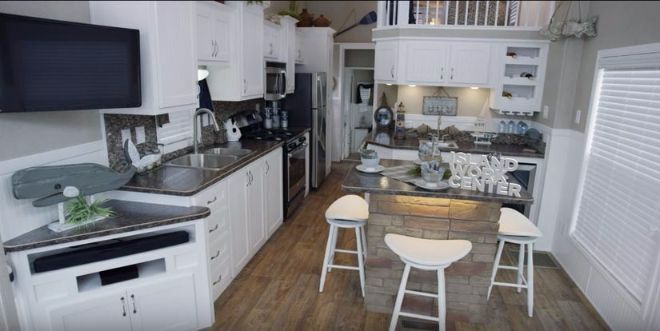 According to its YouTube channel description, this series is the "perfect park model RV for those wanting an upscale vacation cottage." There's many island configurations but the key differentiating factor here is the center island work station. Like what you see? Be sure to SHARE these ideas with family and friends!